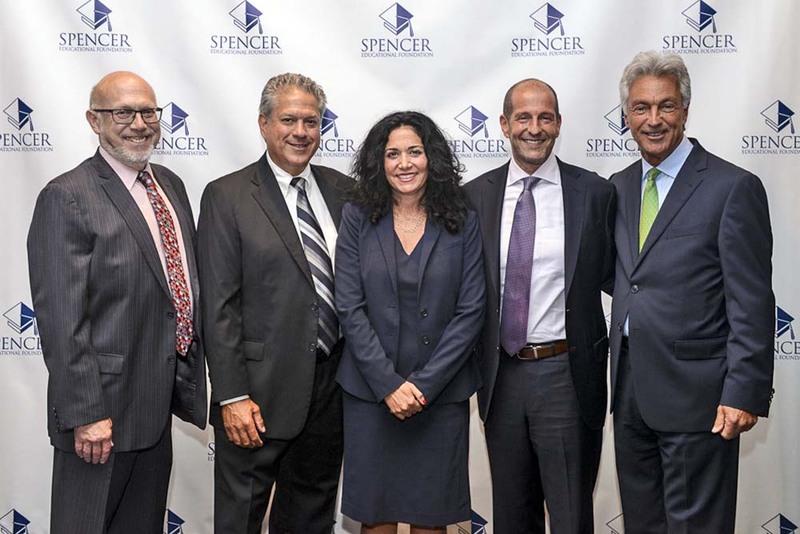 On September 14, 2017 PMT attended the Spencer Educational Foundation’s 2017 Gala Dinner, honoring Joe Tocco (XL Catlin) and Michael Rice (JLT Specialty USA), in celebrating insurance industry education. The Spencer Educational Foundation is the premier organization awarding scholarships and grants in risk management and insurance, and facilitating internship opportunities, as well as, providing a Risk-Manager-in-Residence program to universities. Since its founding, the Spencer Educational Foundation has awarded 970 scholarships, totaling approximately $6.3 million, and $3.25 million in grants to universities and professional institutions, for educational programs and conferences. PMT congratulates insurance professionals, Joe Tocco and Michael Rice, on their contributions to insurance industry education and the mission of the Spencer Foundation, and PMT remains committed to supporting the insurance leaders of the future.